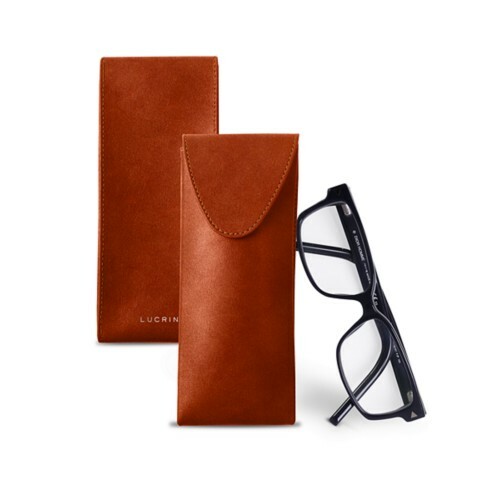 Lucrin puts forward an impressive collection of glasses cases made in authentic leather. 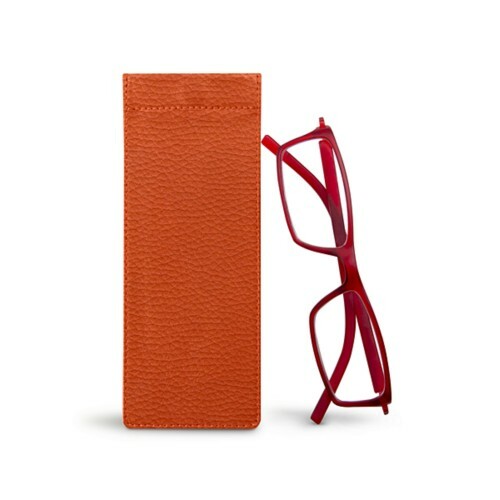 Discover our pouch for eyeglasses of different sizes: slim, standard and large (sunglasses). 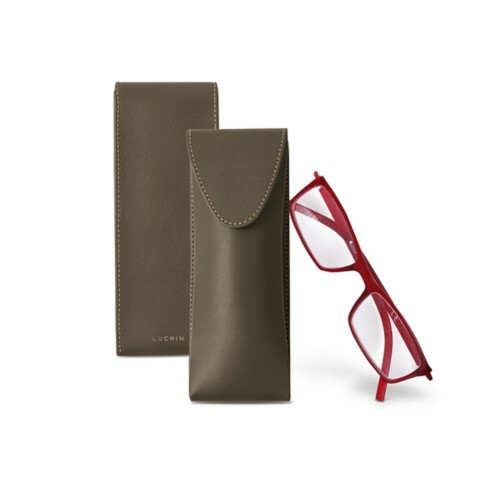 You have an interesting choice of models of protective pouches for your glasses: soft, rigid, semi-rigid, zipped, and so on. 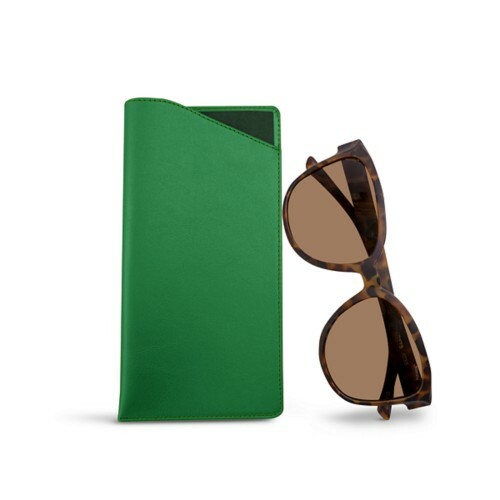 You even have one that you can attach to your belt line, and which can be really practical when you are hiking for example. 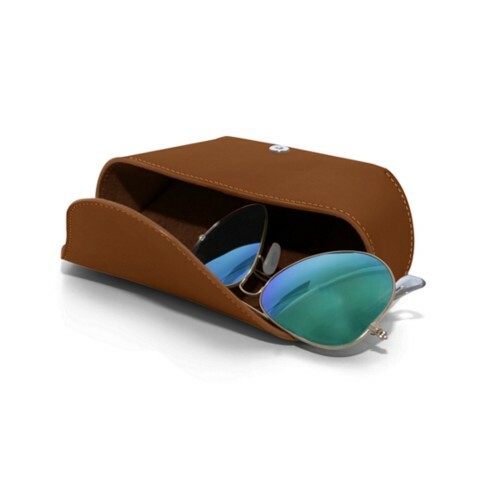 All the interior surfaces of our pouches are in microfiber, which thus provides maximum protection to the glass and frames. 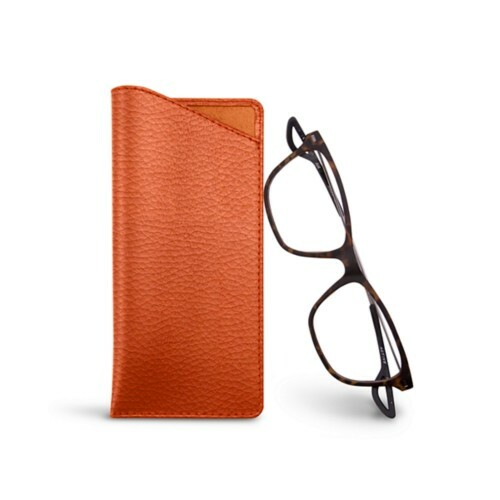 Lucrin leather cases for glasses may also be an elegant and useful accessory if you travel a lot. 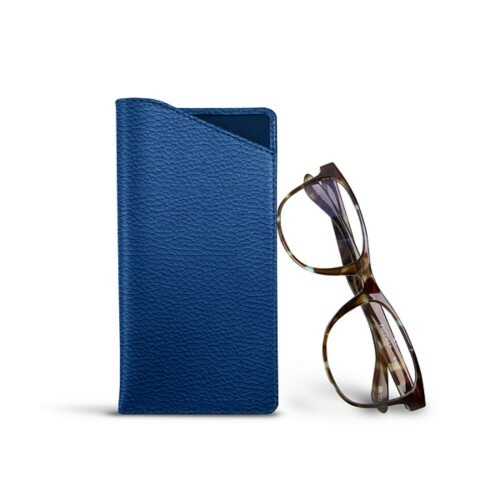 Furthermore, you can get a unique and really personal glasses case by choosing among the engraving options available, as well as the colour and leather type that suit you best.